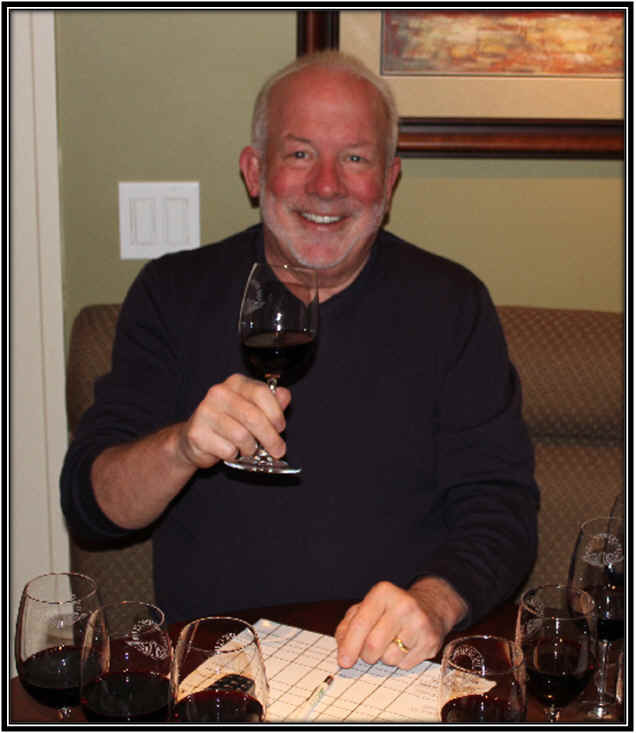 Vino Fino tasting host Tim Zainer was interested to put various appellations to the test, so we selected the Syrah grape as our theme for February. The roster of wines featured bottlings of a wide range of pricing, too, starting at ten bucks and rising into the $50 range. We had wines from some highly-respected Syrah winemakers, including Qupe's Bob Lindquist, Penfolds' John Duval (who produces a wine called Sequel in Washington State), Ehren Jordan who's on board at Neyers (along with Turley and his own label, Failla) and Jeff Cohn (formerly of Rosenblum and who has his JC Cellars label). California winemakers have been dabbling with Syrah for years. Only a small percentage seems to have an understanding of the characteristics of this grape on its home turf in the Northern Rhone Valley in France. 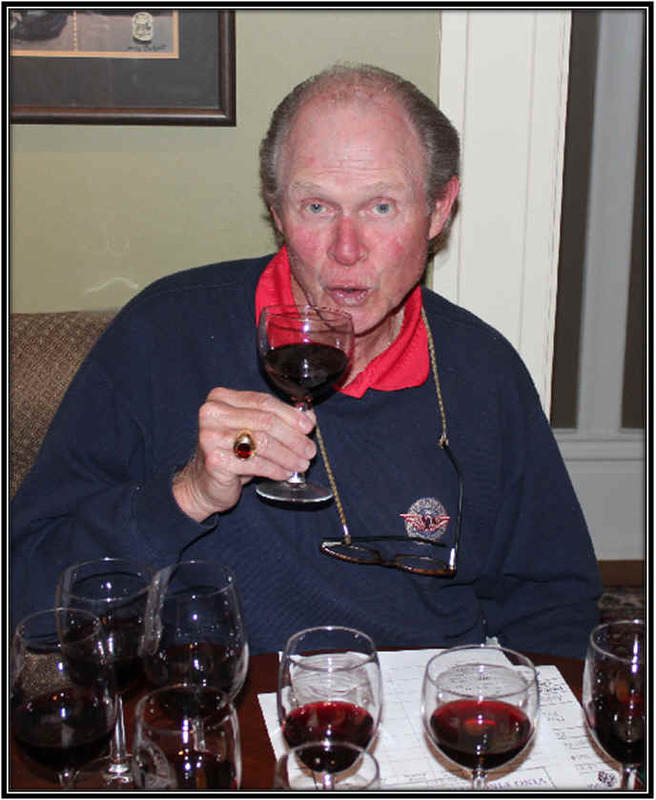 Others are content to make "red wine" creating wines which are styled along the lines of California Cabernets and Zinfandels. Ask most wine aficionados to describe the characteristics of Syrah and you'll hear adjectives such as pepper, spice, blackberry, licorice, herbal, etc. Often the wines of the Rhone have a gamey sort of character and some are bottled with elements attributed to Brettanomyces: leathery, meaty, barnyard, horsy notes. Some tasters find these Brettanomyces characteristics to be acceptable, citing complexity, while others find this attribute to be a fatal flaw. Our tasting, then, had wines with some of these elements and most of the panel members had little experience with Rhone Syrahs. To say most of our group has a "California Palate" would be an accurate assessment. One wine was well ahead of the group in the tasting results. Four wines were well off the pace but bunched closely together with no significant difference in terms of ranking. 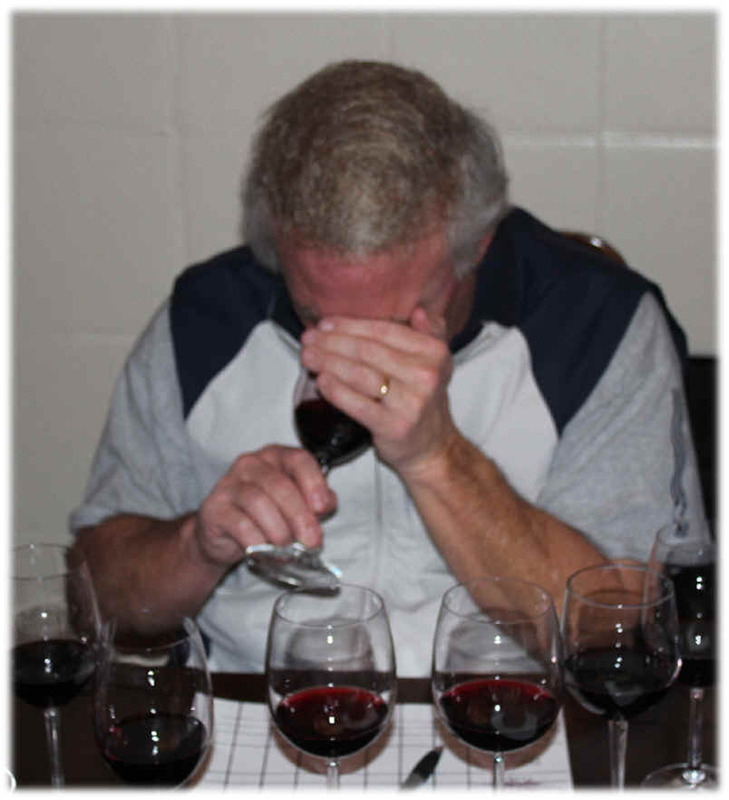 Three wines finished in a third grouping at the bottom. 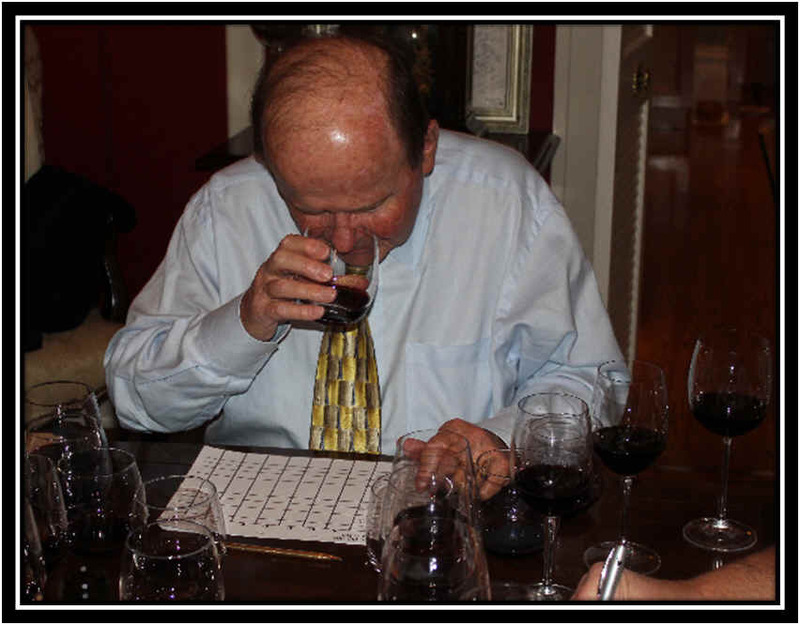 My "delta" (the difference between my ranking and the group ranking) was exceptionally high, as I looked for wines reminiscent to some degree of Rhone Syrah wines. As a result, my preferences varied greatly from the group. Clear in appearance and with a medium+ ruby color, this Sierra foothills wine displayed more wood than Syrah notes on the nose. I found a nicely woodsy fragrance with some red fruit aromas. It's dry and medium-bodied and the flavors confirmed the aromatics: nicely oaked with some woodsy elements and a bit of peppermint and cedar on the finish. I liked the wine as a nice "red wine," even if it's not a profound Rhone-styled Syrah. It is very drinkable now and probably will hold for a few years. One star on my three star scale, no stars being an ordinary or standard quality wine. Clear in appearance and with a beautiful, deep purple robe, the initial notes of this wine were hickory, pepper and spice. As it aired, the elements of Brettanomyces became more evident, as the wine showed leathery, dirty, barnyardy sorts of aromas. I thought the wine may have a bit of unfermented sugar on the palate, too. It's full bodied and has a bit of grippy tannins with some elements of good Rhone Syrah and some elements of bad Rhone Syrah. Its dirty notes, while I can "appreciate" these, were too much to give this much of a commendation. I'm certain, though, it will find some fans. No stars tonight. Deep purple in color and brilliantly clear, the aromatics were classic Rhone-like Syrah: light black pepper, a bunch of spices and some hints of citrus peel, orange and grapefruit. It's dry and has bright acidity on the palate. Medium+ bodied, the flavors confirm the aromas. It has nice dark berry fruit and classic pepper and spice notes. Very fine and elegant right now, it ought to cellar well for a few years. Two stars. Very nice! From a vineyard and winery out in California's Central Valley, this wine was clear in appearance and a very youthful, purple robe to it. The fragrances were intensely vanillin, reminding almost of a bag of sugar cookies. The wine is dry and soft, being medium+ bodied. The flavors are vanillin and even a bit honeyed. I found no varietal character on the aroma or palate, but it's a good example of "oak juice." In fact, the winery promotional materials indicate the wine was aged "on" French and American oak...you can draw your own conclusions, but it's a well-made, seriously "spoofulated" wine. No stars. 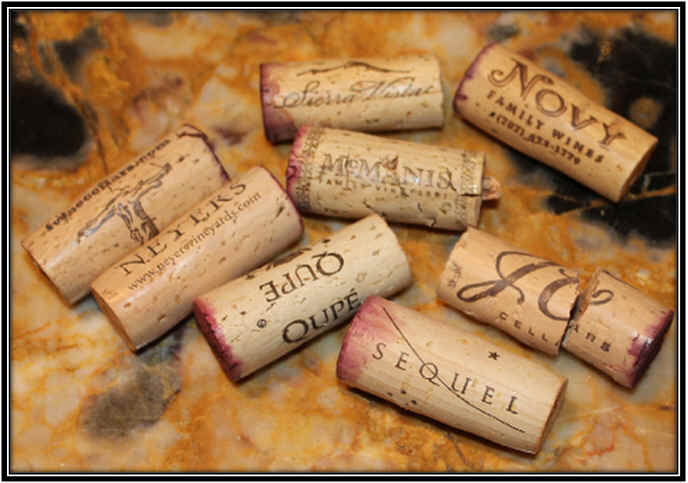 The Novy label comes from Pinot Noir-masters Adam and Dianna Lee. 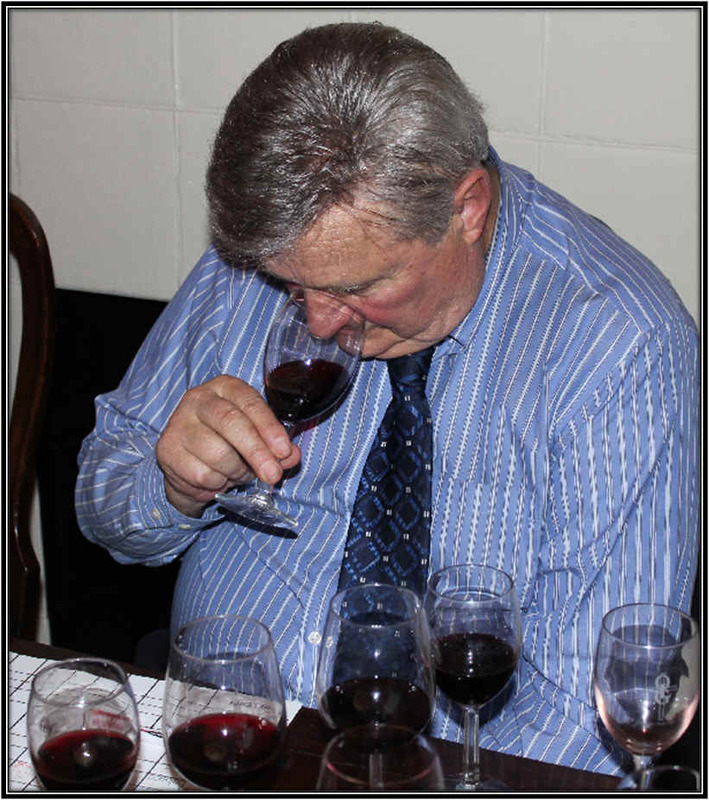 The wine was clear and deep purple in color, with lovely spice notes and plenty of dark berry fruit fragrances. There's even a leafy, herbal tone reminiscent of cassis. It's dry and nicely acidic, with medium-full to full body. The flavors are woodsy and spicy with nice Syrah fruit on the palate. It's drinkable now and ought to do well with a few more years of bottle aging. One+ star. Deep purple in color and clear, this wine starts out with lovely brown spice notes on the nose. There's a woodsy element with a bit of vanilla and clove/cinnamon spice. It's dry and nicely acidic. Full bodied and a bit warm on the palate, I found ripe fruit and toasty notes with a hint of spice...though Neyers makes this with a tip of his chapeau to Northern Rhone vintners he holds in high esteem, the wine is decidedly Californian. It ought to stand up well to additional bottle aging and maybe even lengthen a bit. One star today, but possibly a higher rating will be warranted with a few years in the bottle. This wine is sold with the hook that it's made by John Duval who made numerous vintages of Penfolds Grange. 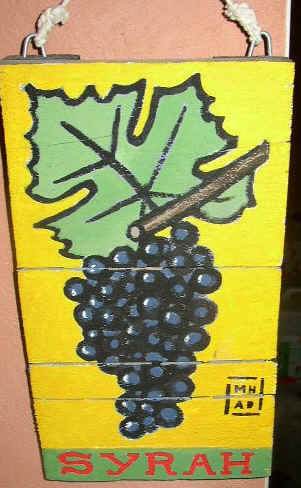 That may explain the wine's total lack of Syrah character, as it's all about cocoa and chocolate, near as I can tell. It's clear and deep ruby in color, with cocoa aromas and some jammy notes on the nose. It's dry and medium-full on the palate. Woodsy flavors and virtually no varietal character, this is lightly coarse on the palate thanks to a bit of astringency. I wouldn't mistake this for a Rhone red and it certainly isn't comparable to Grange or other high ticket Penfolds Shiraz wines. No stars from me, though other tasters found positive features here. Clear in appearance, this wine is deep and dark in color, with purple hues on the robe. I heard a few tasters mention the wine not showing much aroma...but I found a lot of berry-like fruit here. It's really lovely in terms of perfumes with sweet, plummy fruit and hints of violets. Where I knocked it down was in the mouth...the wine seemed like it had a few grams of residual sugar and the acidity was a bit low. It's certainly full-bodied and big, ripe and seemed like a warm climate red. The tannin level is moderate which keeps it from being totally flat, but I'd have preferred a wine with a bit more vitality. One star.